The goal of the Central AHEC Health Careers Exploration and Health Initiative is to educate present and future providers of health care and their communities. In order to fulfill this mission, the student-centered goals of our programs are to: improve knowledge of health careers, increase understanding of health disparities, promote personal development and growth, and support the completion of education and career goals. Students are prepared to function in a healthcare settings helping the underserved & gain real life experience. Students are prepared to function in healthcare settings by learning about careers in the medical field. Migrant Farm Workers Medical Summer Program 2019. Students assist medical staff serving the workers. 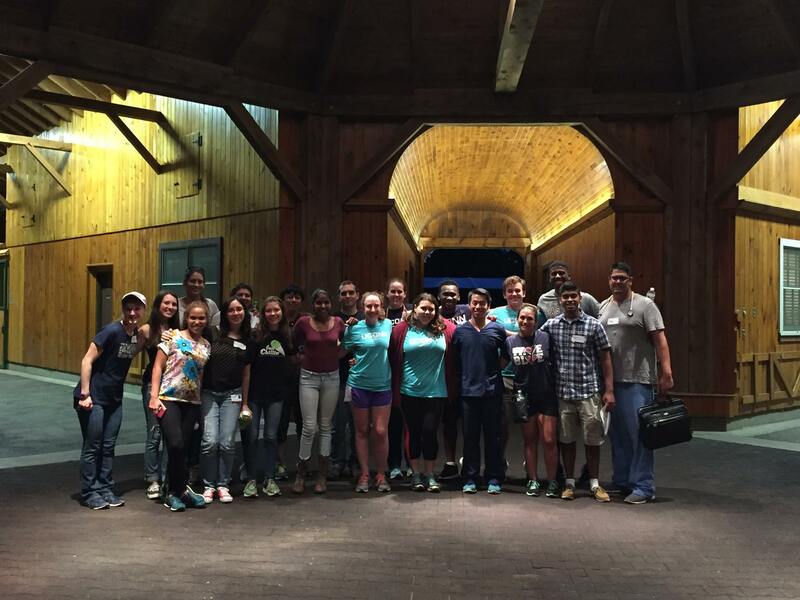 Connects high school students in the Greater Hartford area to resources and information on higher education. 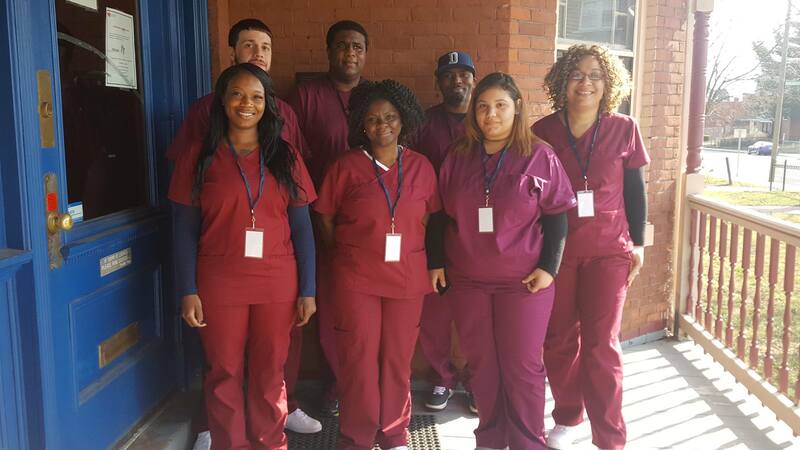 The Central Area Health Education Center, Inc. (Central AHEC) is a private, non-profit 501 (c) (3) community-based organization headquartered in Hartford, CT. We serve Hartford, Middlesex and Tolland Counties as well as the towns of Meriden and Wallingford. Our culturally and linguistically diverse staff possesses the knowledge, experience and professional relationships required to effectively address the broad-based challenges and opportunities related to reducing health disparities for ethnic and racial minorities and to increasing workforce diversity among the health-related professions. We have working relationships with health, education and philanthropic entities at the city, state and federal levels. Our past and continued success depends on the technical assistance and financial support we receive from individuals and public/private funding sources. Thanks to them we've been able to make progress in the following areas. 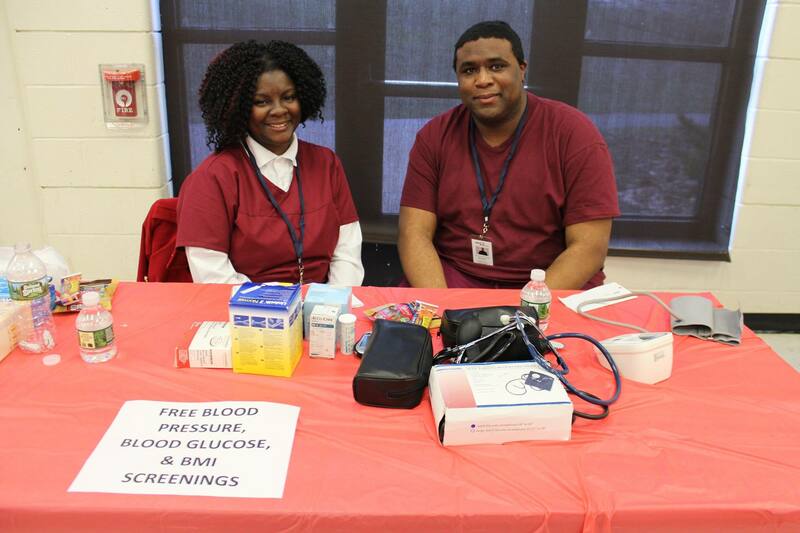 Central CT Area Health Education Center, Inc.
Rev. Andre L. McGuire Esq. Southwestern AHEC: Community Health Worker Certification Course. Medication Administration Certification for Early Childhood Educators and Child Care Providers. CYCLE III Set to Begin in the Fall!! *Note: Classes will be held Mon thru Friday 8:30 am till 4:00 pm for 3 to 4 weeks. Central Area Health Education Center (Central AHEC) "BE Inspired" Videography Project's purpose is to express the impact of the YHSC Program and CNA Pathways to Coolege Program. Central AHEC will encourage and highlight the YHSC and CNA Pathways to College students to be recognized as powerful agents of social change, community involvement, leadership and health career opportunities. The students will reflect on a real or imagined moment of conflict as inspiration of their personal and academic experiences. The project entails a combination of audio, still images and video narration of short personal stories. 2019 Health Career "Camp" for High Schoolers/UConn Migrant Farm Worker Clinic Application cycle will be opening up the week of April 22nd. Requests for camp applications will be accepted once the open enrollment period is made available. Please visit our website often for continued updates. Our program is very popular and unfortunaley we do not have the staff capacity to enroll large groups. We will only have room this year for 24 students if we run the program for 6 weeks, or 32 students if we run it for 8 weeks, therefore, we are operating on a first come first serve basis. Who should apply: The Central AHEC’s 3 day per week summer “day-camp” is a career exploration program designed for high school students interested in careers in health who are also interested in medically underserved populations. Accepted students will be exposed to both while at one of UConn School of Medicine’s community based training programs, the UConn Migrant Farm Worker Clinic. Brief Overview: During this opportunity with the University of Connecticut School of Medicine, High School students accepted into this program will be trained and supervised by Central AHEC staff/chaperone at the UConn Migrant Farm Worker Clinic for one week during the summer. 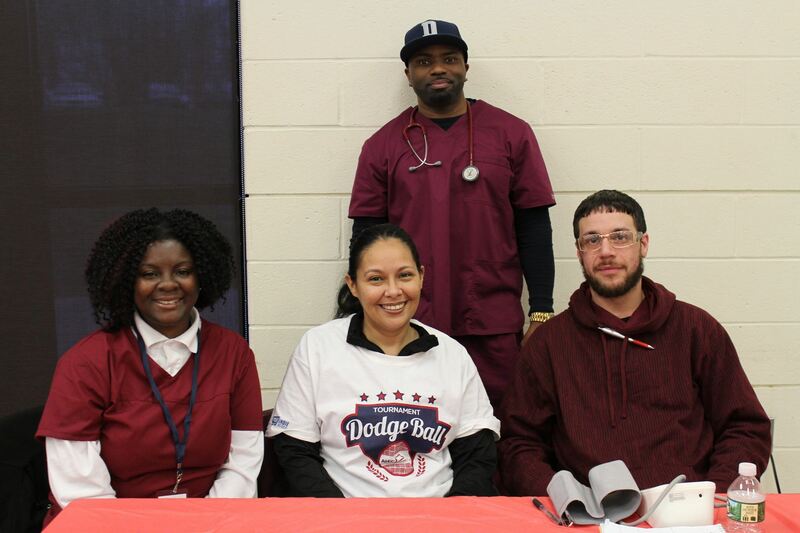 Participants will be exposed to different health care careers (medical, dental, physical therapy, nursing and more!) and by seeing health care students and clinicians “in action” at these clinics providing direct patient care to our target population, migrant and seasonal farm workers (and their dependents!) at farms across Connecticut. Role at the Clinic: High School Students accepted into the Central AHEC “Summer Camp” assist with this mobile clinic’s field set-up and breakdown, complete patient intake forms, and participate in taking triage and clinical vitals screenings with patients. Students may even be asked to shadow in medical teams interviewing patients during these “field” clinics!. The sessions run Tuesday, Wednesday and Thursday evenings at the tobacco farms with Mondays as full day of orientation and training. We have tentatively scheduled camp to run from __________________________. Applications are due by _________, 2019. Notification of acceptance status will sent by ________. Accepted participants will be assigned to a specific week of camp at this time and will be asked to send a one-time payment of $50 to Central AHEC by no later than _________. If payment is not made we reserve the right to offer the slot to another student on our camp wait list as these slots are in high demand. To obtain a 2019 Migrant Farm Workers Summer Camp application please email Guisela Laureano at glaureano@centralctahec.org or call our office at 860-231-6250 x3035 and one will be mailed to you. Camp applications will not be sent out until the open enrollment period begins. Please Donate to AHEC and Make a Difference. Central Area Health Education Center, Inc. is a private non-profit 501 (c) 3 organization. Your donations dollars are tax deductible. The National Area Health Education Center Organization (NAO) was established in 1971 as part of the U.S. Department of Health and Human Services, Health Resources and Services Administration (HRSA). It was created to link the resources of university health science centers with local planning, educational and clinical entities in order to address the distribution of health care providers in medically underserved urban and rural areas. 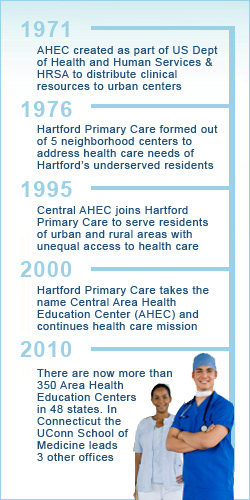 In 48 states, there are now more than 350 Area Health Education Centers (AHEC) similar to Central AHEC. Each state has at least one AHEC Program Office which functions as a lead administrator. In Connecticut, the Program Office is housed within the University of Connecticut School of Medicine. It provides administrative leadership to three other Connecticut AHEC offices in addition to Central AHEC. Eastern AHEC – Primary location is New London with an additional office in Willimantic, Northwestern AHEC is in Waterbury and Southwestern AHEC is located in Shelton. The core funding for Connecticut AHEC operations comes from HRSA and the Connecticut Department of Higher Education. Information about the National AHEC Organization can be found at www.nationalahec.org. National AHEC is dedicated to connecting students to careers, professionals to communities, and communities to better health.